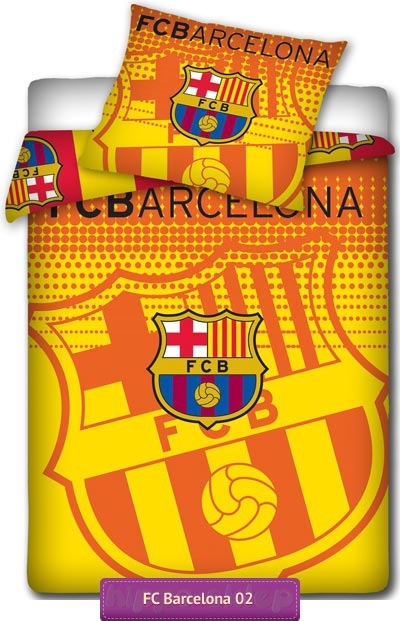 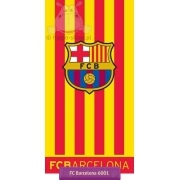 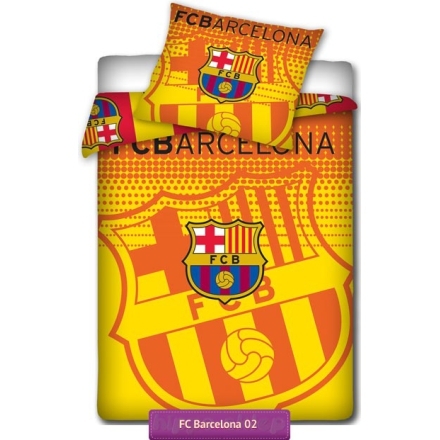 Bedding FC Barcelona 02 original licensed bedding set for boys with FC Barcelona football team logo in yellow and orange background colors according to season official away colors. 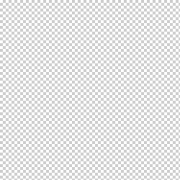 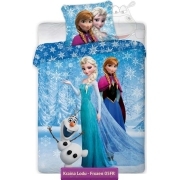 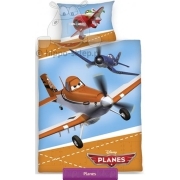 Kids Bedding set with single duvet cover sizes 140x200 cm or 160x200 cm according to chosen options and one pillowcase size 70x80 cm. 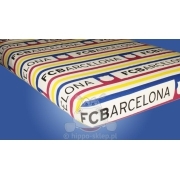 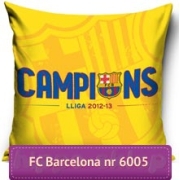 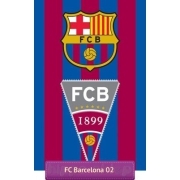 FC Barcelona kids bedding made under FCB license from official merchandise, made according to Oeko-Tex standard 100 of 100% cotton, closing by zipper.